Why Choose Studio Q Photography? Take advantage of the Multi-Party Assignment Cost Share Program! When up to three* project partners commission portfolio photography together they can share the image rights and then share the production costs- providing high value cost savings and fresh marketing assets with cross promotional opportunities for future collaboration. Collaborate with mutual and individual image production Individual party license & invoicing allows for easy collaboration where each project partner gets the image list they want. Shared views get discounted and additional views can be ordered by a project partner just for them, so everyone is happy. • Electronic: Client Web Site & Social Media with the condition that there is an adjacent credit link to www.StudioQphoto.com. Careful, Polite, and Insured! Mark has been photographing architecture and interior design for over 20 years, which is his professional focus and favorite sub-specialty of commercial photography. After his apprenticeship concluded, Mark spent his next several years assisting one of the premiere Colorado architecture photographers while shooting all around the mountain west for design industry professionals and national shelter magazines. Now working for his own design-build clients, he utilizes a conscientious "small footprint" approach to high quality image production. Employing the smallest production crew possible when photographing residential design helps to minimize the intrusion felt by homeowners- from careful handling of equipment and décor while styling shots to the meticulous return to previous state, "everything exactly as it was found", all with respectful contact with homeowners and their property. Mark's images have been featured in several publications, won multiple design competition awards, as well as being utilized in enterprise marketing campaigns and business communications. Skillfully working with art directors, editors and in-house marketing managers to create professional quality images for all outlets of visual communications. * Mark Quentin/StudioQphoto maintains all copyright and licensing rights; any additional usage beyond that described, including but not limited to National Editorial and Advertising use, may be arranged but must be negotiated prior to reproduction. Client may not assign or transfer this agreement or any rights to any third party. An adjacent photo credit must accompany each and every use: “© Mark Quentin/StudioQphoto.com”. ○ Need to include additional project partners beyond the three principles? No problem, just upgrade your image license with additional party usage rights for a percentage of production fees. 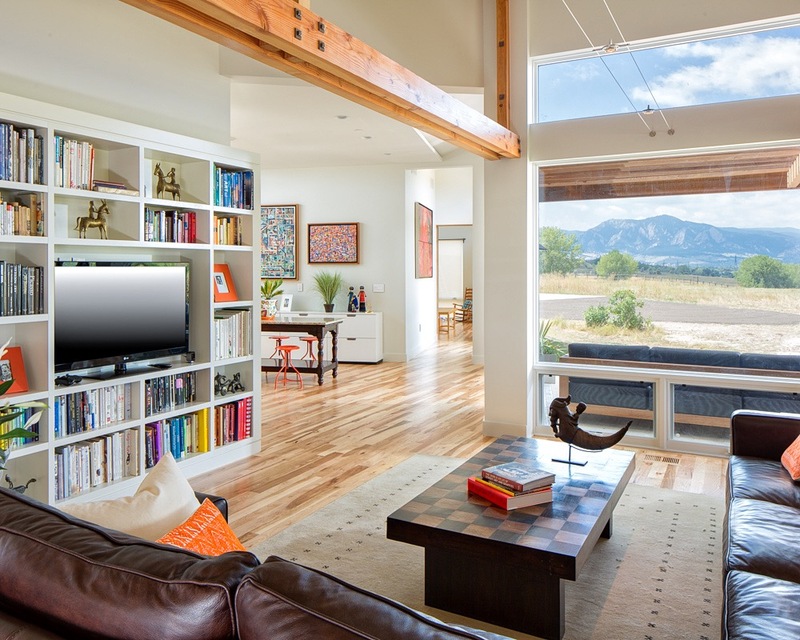 Mark Quentin specializes in architectural assignments in the Boulder-Denver-Colorado area. See more here!